These tasty pizza bagels are prepared the night before – so you just have to bake them in the morning for a quick homemade breakfast to go. 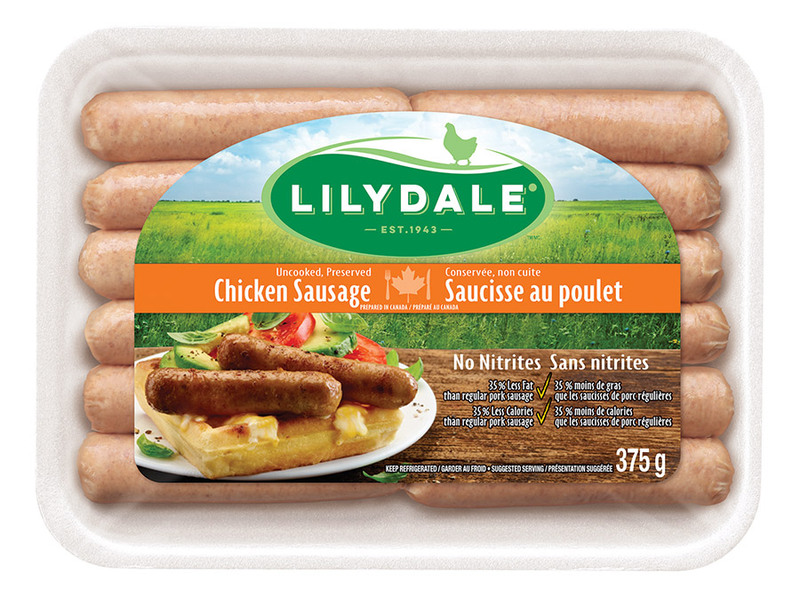 Prepare Lilydale® Breakfast Chicken Sausages according to package directions; let cool completely. Slice and set aside. Meanwhile, whisk together eggs, milk, salt and pepper. 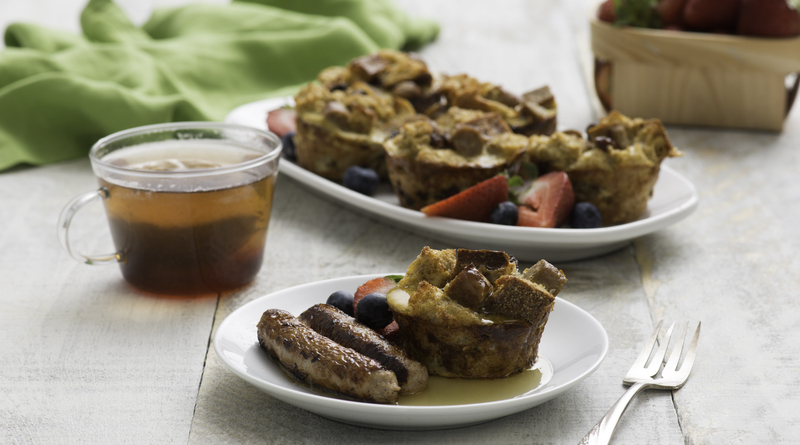 Melt butter in large non-stick skillet set over medium-low heat; pour in egg mixture. Cook, stirring frequently, for 5 to 8 minutes or until eggs are set and soft curds have formed. Spread 1 tbsp (15 mL) tomato sauce over each bagel half. 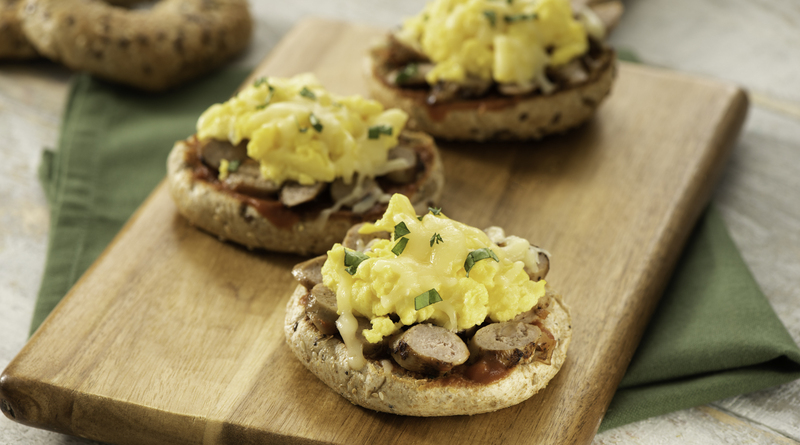 Top with Lilydale® Breakfast Chicken Sausages slices and scrambled eggs. Sprinkle with cheese. Cover and refrigerate overnight. Preheat oven or toaster oven to 425˚F (220˚C). 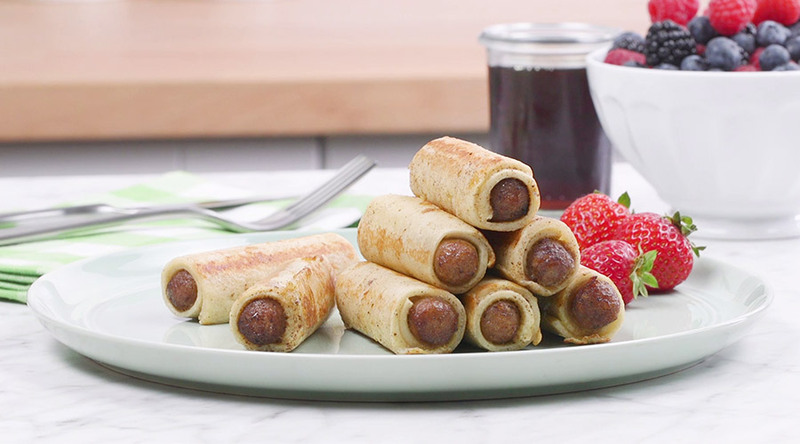 Place prepared bagels on parchment paper–lined baking sheet or tray. Bake for 8 to 10 minutes or until cheese melts and bagels are toasted. 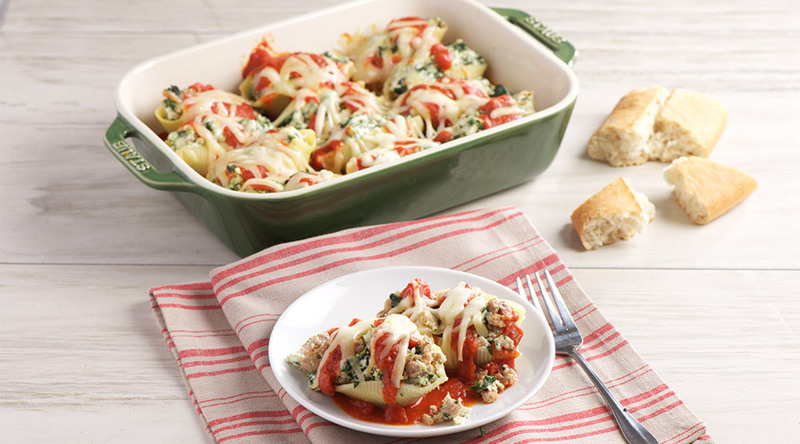 Sprinkle with basil. Substitute English muffins or small pita breads for bagels if desired.